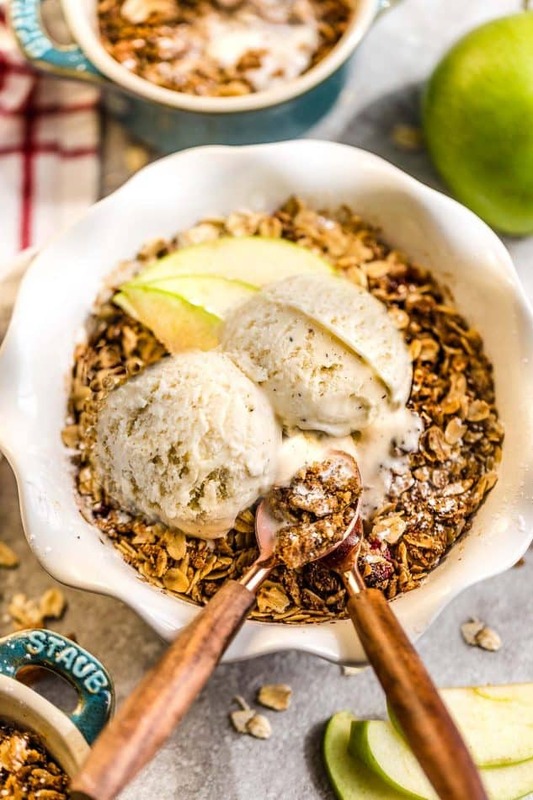 Apple Crisp is the perfect easy and lightened up gluten free dessert for fall. 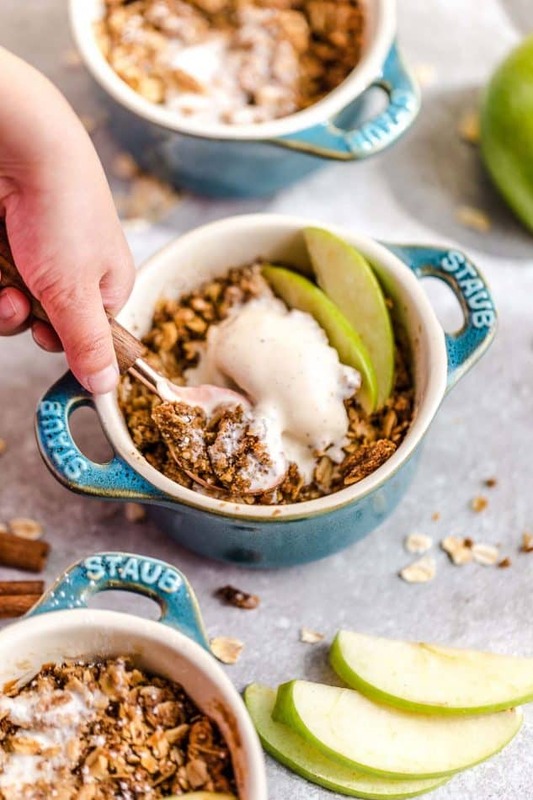 Best of all, this simple fruit crisp is made in single-sized servings with tender apples and a cinnamon oatmeal streusel topping. What I love about fresh fruit crisps is that you can use any combination of fruit you like. For me, nothing is more comforting than a warm apple crisp, fresh out of the oven on a cool autumn afternoon. 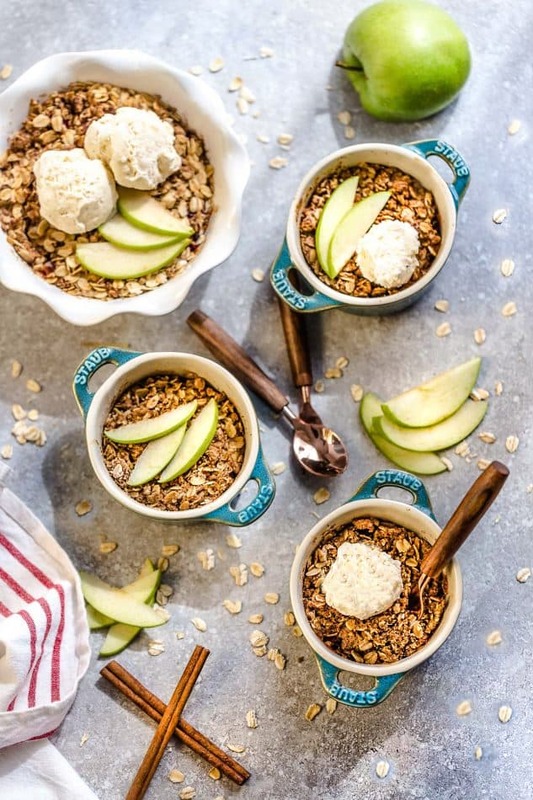 These mini apple crisps are made in single serving crocks, making them great for a baby shower, potlucks, family gatherings or any time you’re craving something sweet. If you prefer to make this recipe the classic way, feel free to use brown sugar and butter instead. 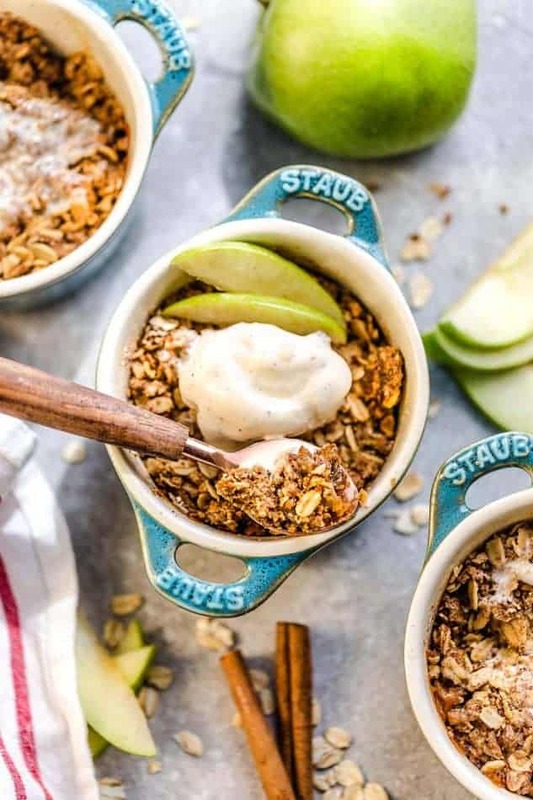 Made with fresh apples, and the crispiest oat crumble topping. Serve it bubbling hot with some creamy vanilla frozen yogurt or vanilla ice cream for the ultimate dessert. 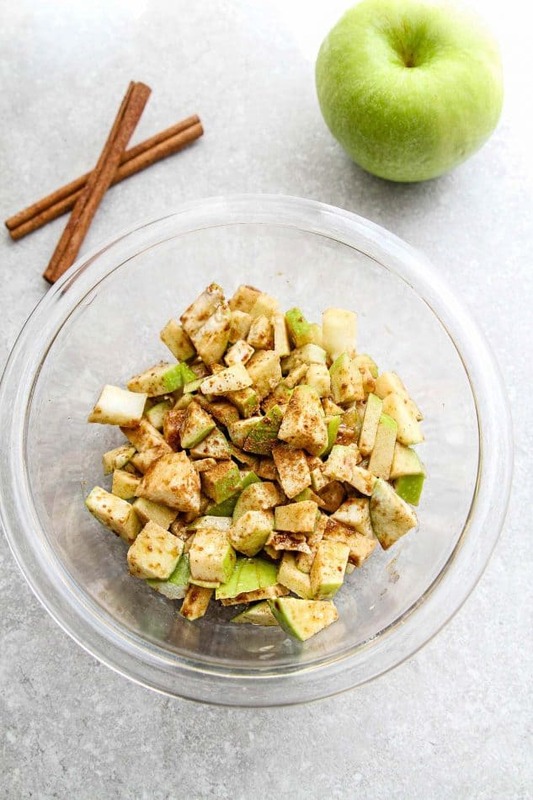 To prepare the filling: In a large mixing bowl, toss together the apples, sugar, arrowroot starch, vanilla extract, and cinnamon until thoroughly combined. Divide evenly into ramekins or spread into baking pan. To prepare the topping: Wipe down the same mixing bowl and toss in the oats, oat flour, sugar, cinnamon, and salt. Add coconut oil and use your fingers to combine mixture until it's moist and crumbly. These are so cute and perfectly portion controlled! Thanks so much, Monica! Wish I could send you some 🙂 Hope you are doing well! 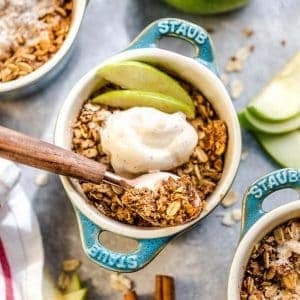 THANK YOU for making my fav fall dessert in a mini version, I personally love apple crisp compared to others in my family, now that I can make it just for me is great !!! These sound so great! I feel like apples (and pears) always get forgotten in the pumpkin frenzy. Glad you’re giving them some loving! Thanks Liz! So true – I am already seeing too much pumpkin already lol. I LOVE a good fruit crisp, too! I think it’s right up there as one of my favorites! We definitely need another get together soon! Apple crisp is one of my favourite desserts, especially in the fall. This looks fantastic! wow, apple crisp, I loved it. I cant wait for this.yummyyyyyy………..